I was a student at Delhi University when Aravind Adiga won the 2008 Man Booker Prize for his debut novel The White Tiger. Written in the voice of a lower class (and caste) villager who works as a driver for a wealthy family, it is an exposé of class disparity, aching poverty and mistreatment of the vast section of underprivileged society. We hadn’t heard of Adiga before, and my friends, especially those who were aspiring writers, talked a lot about this unknown man and his novel. They attended all the book launch parties in Delhi, where everyone seemed to have an opinion about the book. The general attitude was that “he didn’t deserve it,” and most had theories about why. In the beginning, it didn’t much matter to me, but soon I found myself in the minority defending Adiga against the rapacious chatter. More than anything, I was amazed that a prize awarded by a British literary body could elicit such impassioned reactions when our own Jnanpiths and Sahitya Akademis didn’t raise an eyebrow in the English media. I had grown up reading Bengali and Assamese literature, and in high school I read most of the Victorian novels in Assamese translations. My world was so different, and I couldn't understand this obsession with a literary prize that only reflects British reading taste. 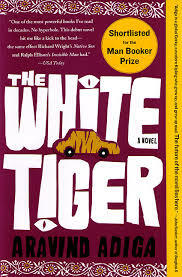 The White Tiger created a referential point to start a global conversation about essential aspects of Indian reality that Indian English fiction had previously left unexplored. It also highlighted the works of writers working in Indian languages who had been writing “non-sari-mango-novels” and had been presenting the picture of a “dark India” since before the birth of the Indian republic. The use of phrases such as “monsoon drenched prose” and “sari-mango novels” is tongue-in-cheek, but it highlights the process of self-orientalization that many Indian authors working in English often tend to engage in – an activity that flattens the polyphonic, multidimensional nature of many literatures emerging from the bulk of the Indian population. Two decades after the publication of Mukherjee’s article, it is no surprise that Indian literature has been significantly deepened by writing emerging from the margins of India. Though ironic, it is perhaps no accident that some of the most critically acclaimed authors – Jahnavi Barua, Anjum Hasan, Anees Salim, Amandeep Sandhu, Easterine Iralu, Temsula Ao and Mamang Dai, to name a few – are not yet widely published in western markets. Indian writers working in non-western literary traditions have never been consumed by nor concerned with the specter of the western reader, which has meant that some of the most beloved writers in India are rarely read in the west. In the past few years, two major trends in Indian literature have further altered the scene. Aided by the growth of a domestic market that is the third largest English book consumer in the world, major publishers in India have started to invest in translations from Indian languages. This has brought a large number of previously unknown Indian writers to the forefront. Organizations such as the Sahitya Akademi were already engaged in translating Indian literature, but their reach was limited and the quality of the translations poor. The second trend is more complex but truly crucial at this stage of Indian history. To the world, India has been the story of a rapidly globalizing economy in the world’s largest democracy. Since its independence in 1947, however, the Indian government has fought wars against its own people. Postcolonial civil conflicts have played out in the most brutal ways in Indian-occupied Kashmir, Nagaland, Manipur, Tripura and Assam. In the past decade, writers primarily from India’s troubled Northeastern states and Kashmir have begun to make a mark in the Indian literary scene. These authors tell the bleak stories of regions in which Indian democracy has failed to deliver – where agents of the Indian state have violated constitutional rights with impunity and have been aided by draconian, undemocratic legislation that goes against the fundamental principles of any democracy. Their works explore issues of identity, belonging and separatism, and they attempt to start a dialogue between colonialism and sub-nationalism, often against the backdrop of bloody postcolonial civil disturbance. This special Warscapes retrospective, “India: Wounded States,” attempts to break simplistic ideas associated with Indian literature. The issue engages three different sites of violence and conflict in India - the Northeastern states, particularly Assam, Kashmir and the marginalization of Indian Muslims. Three of the stories in this issue are actually from places in Northeastern India where some of the most brutal human rights violations have been carried out with impunity, protected by a law called AFSPA – Armed Forces Special Powers Act – that allows the security forces to shoot at suspicion, detain without warrant, etc. Easterine Kire's fiction is set in 2007, around six decades after the rebellion against Indian rule in the Nagaland, and depicts life in a war-torn Naga town. Anuradha Sharma Pujari’s Assamese short story follows Dipok Saikia, a surrendered militant who has left the path of rebellion and returned to the mainstream to lead a normal life, but is unable to reconcile with his past. One of the main reasons we decided to include Raktim Sarma’s fiction was because of the unique perspective that Sarma brings to the table because of his past life as former militant of ULFA (United Liberation Front of Assam) – Assam’s most dangerous and widely known armed separatist outfit. The subliminal levels of the conflict in Kashmir are brought out in the short story, “An Insignificant Boyhood,” by Feroz Rather, where a young boy slowly awakens to the political turbulence around him. Saiba Varma’s nonfiction, “Temporalities of Violence: A Tale of Two Protests,” fuses an anthropologist’s perspective with a hybrid writing style, and Varma intertwines narrative storytelling to question two disparate public events that reflect the traumatized and tortured psyche of the Kashmiri populace. The contributions from Kashmir also tie into the marginalization and persecution of the Muslim minority. The creation of this minority class and the burdens they bear are explored in prolific poet and writer Meena Alexander’s novel Nampally Road. In his striking visual narrative, photographer and writer Asim Rafiqui takes a self-reflexive, lyrical and intellectual journey through sectarian India, arriving eventually in Ayodhya, the site of a violent communal history. Laws such as AFSPA turn the citizens of Kashmir, Nagaland, Assam and many other conflicted areas into unequal citizens, and these stories highlight what it means to live in a single nation with different legal standards, as well as how deeply the undemocratic nature of the Indian state percolates into the personal lives of many of its people. Storytelling thus becomes a political and cathartic act because it is through stories that writers make sense of themselves and their people, giving voice and concrete shape to the ineffable “who” that each of us deals with. “India: Wounded States” offers an alternate history, one that has been deliberately swept under the carpet, and perhaps it will be able to open a new vista – through storytelling – for understanding the multicultural, complicated, polyphonic and extraordinary entity that is India. Thank you to Bhakti Shringarpure for her inputs. Aruni Kashyap is the author of The House With a Thousand Stories (Viking, June 2013), a novel set against the secret killings of Assam - a series of extra-judicial killings allegedly conducted by the Indian government to quell the Assamese separatist movement. Kashyap has also translated and introduced Indian author Indira Goswami‘s last work of fiction,The Bronze Sword of Thengphakhri Tehsildar, for Zubaan Books (January, 2013).